UPDATE May 2009: There has been a re-organization of roles within Sage which may result in the Sage Act! product line moving out of the Value Business division. 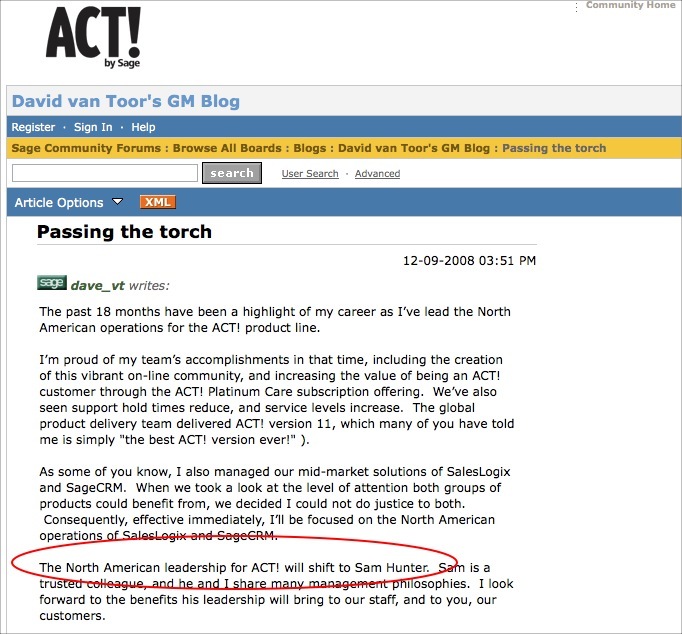 In a blog post dated December 9, 2008, David Van Toor, General Manager for Sage CRM North America announced that he handed over the supervision and management of the Act! product line to Sam Hunter, GM Value Business. The past 18 months have been a highlight of my career as I’ve lead the North American operations for the ACT! product line. I’m proud of my team’s accomplishments in that time, including the creation of this vibrant on-line community, and increasing the value of being an ACT! customer through the ACT! Platinum Care subscription offering.We’ve also seen support hold times reduce, and service levels increase. The global product delivery team delivered ACT! version 11, which many of you have told me is simply “the best ACT! version ever!” ). As some of you know, I also managed our mid-market solutions of SalesLogix and SageCRM. When we took a look at the level of attention both groups of products could benefit from, we decided I could not do justice to both. Consequently, effective immediately, I’ll be focused on the North American operations of SalesLogix and SageCRM. The North American leadership for ACT! will shift to Sam Hunter. Sam is a trusted colleague, and he and I share many management philosophies. I look forward to the benefits his leadership will bring to our staff, and to you, our customers. This then will be my last post to this community site. 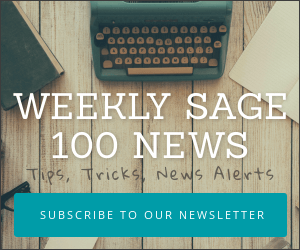 This community has become so strategic to Sage that we’ve created a new position to focus exclusively on its development, and I know Sam’s new team will be continuing communications in this forum in an appropriate manner. Such a transition carries mixed emotions for me. I’m sad to formerly leave a community of customers with whom I have formed strong relationships with, and whom have taught me much about delivering excellent customer experiences. I’ve enjoyed my interactions with you, and these have shaped my view of what it means to present a professional and caring business. I’m also excited to be able to focus my energies on SalesLogix and SageCRM, and drive their growth in today’s uncertain economy. Should you wish to continue to read blogs by me, I welcome you to www.davidvantoor.com, and to the new blog I’ll be establishing on the soon to be launched SalesLogix customer community. To all ACT! customers, a sincere thank you for your passion and loyalty.To all of you who’ve I’ve spoken with through this community, a special thank you for you willingness to engage directly in this new, Web 2.0 business world.Should your CRM needs change, I’d love the opportunity to work with you again. What Does Sage Act! As A Value Product Mean? The Value Business line is widely understood to include those products that are not strategic to Sage North America and therefore would not typically be first in line for research and development or marketing resources. We don’t think this signals that Act! is being downplayed by Sage in any way. It almost certainly will continue to be funded and developed. Rather what is more likely is that instead of receiving further development efforts to integrate Act! to existing Sage ERP systems it will continue as a standalone CRM product sold primarily through resellers and retail. UPDATE: Several Act! 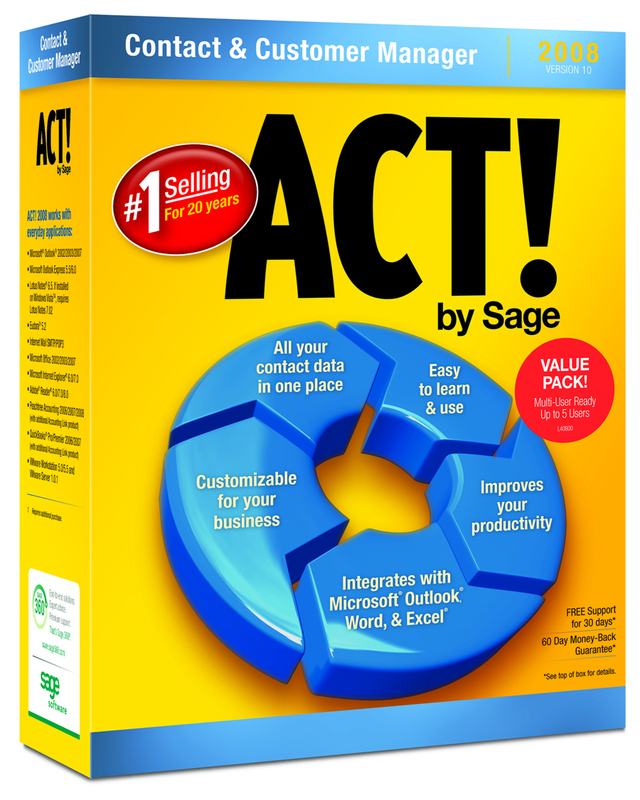 consultants have pointed out that Sage’s CRM 2010 prominently features the ACT! product line aside Salelogix and SageCRM.They question whether this movement of Act! outside the traditional CRM group points to a change in the integration plans for the three Sage CRM products announced 9 months ago. A key part of the CRM 2010 technology strategy is to evolve all Sage CRM Solutions products to support integration with other applications using a common CRM integration contract approach. This approach is Web services-based and is independent of any particular implementation. Any service provider or service consumer can implement the contract. This leads to flexible, lightweight, loosely-coupled integrations. The initial use of the contract integration is for application to application integration — this could be ACT! to Sage 50 Accounts for example. Each application can choose to publish information, as well as consume information. This same system is then used to generate feeds of information from the CRM application so that customers can view information through a standard Web browser or feed reader. Just thought I’d let you know that Dave van Toor posted to my Blog that “This is a change to North American operations, and, does not impact the Global strategy for the product”. So, it looks like ACT! remains in CRM 2010. He also said that the NA ACT! license and SLX sales teams will still be combined under Jeff Gregorec.